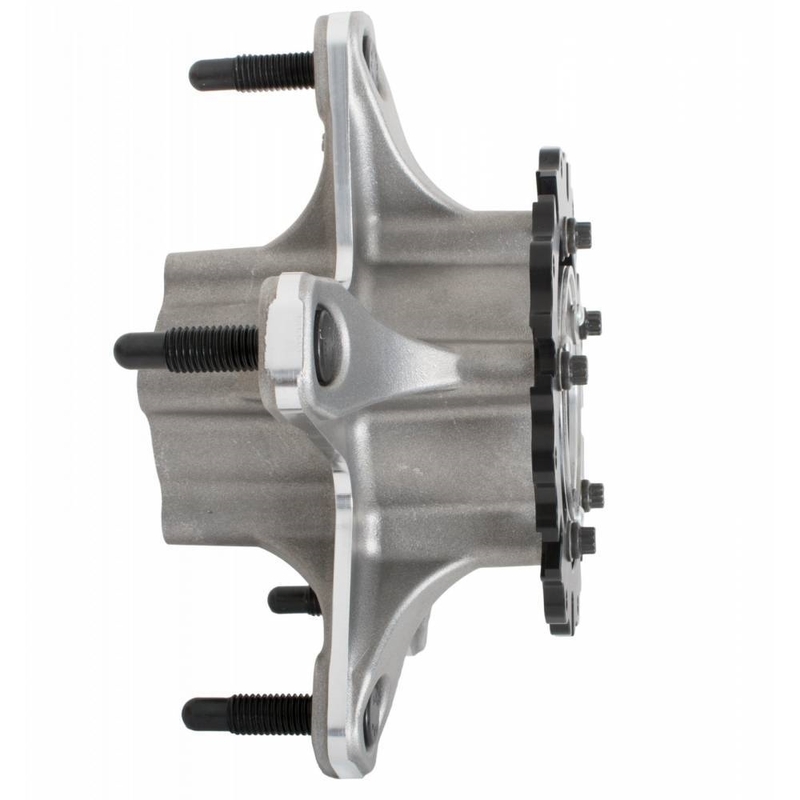 JOES Cast Wide 5 Accelerator Hubs were designed from the ground up using the latest in CAD design and the ultimate in casting technology. Stress Analysis software allowed the JOES team to simulate race conditions during the design phase. The result is the perfect balance between lightweight and strength. Destructive and on track testing allowed our engineers to centralize the mass closer to the spindle and rear axle spud center lines reducing rotational inertia for quick acceleration and faster braking. 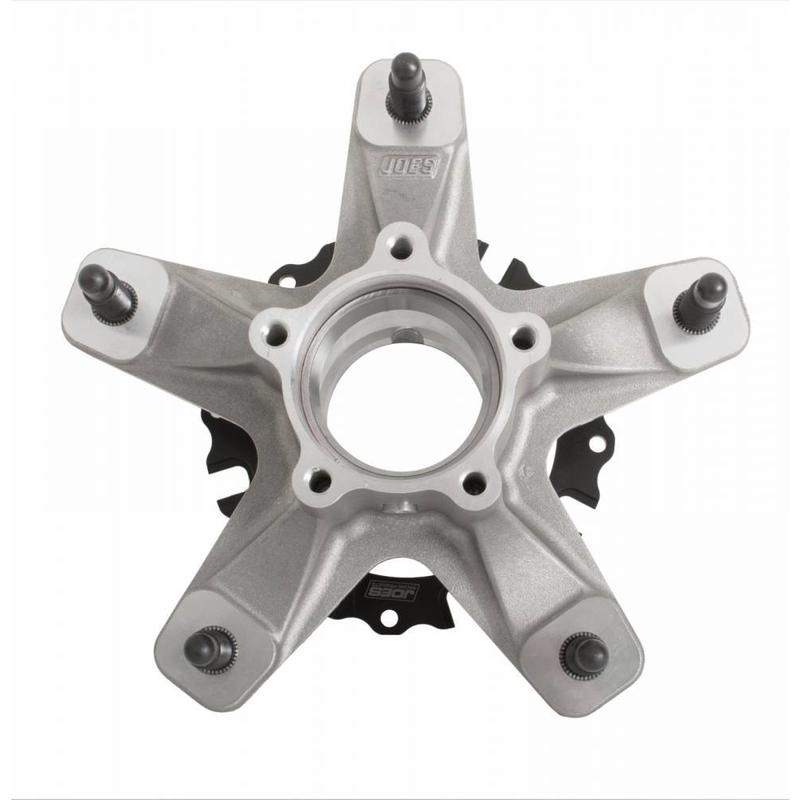 JOES Wide 5 Cast Hubs can be installed with conventional grease or low friction oil. The exclusive JOES Seal Retainer System allows you to slide in and reuse expensive seals without damage to the seal. The rotor flange can be bolted solidly to the rotor or T-Nuts can be added at anytime for a superior floating rotor setup. 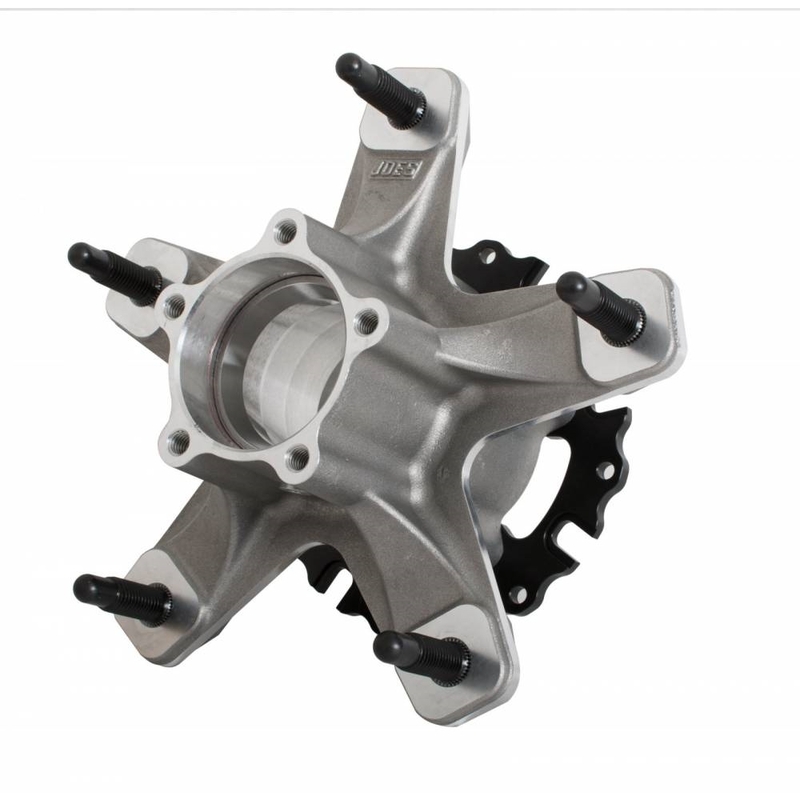 JOES Cast Wide 5 Hubs use Highly Refined Rotary Degassed Flux Injected aluminum creating a rigid and lightweight part. In house CNC manufacturing and our quality control systems ensure that your hubs run true. Centralizing the hub mass creates a path for air to flow out of your engine compartment increasing down force while providing airflow to cool your brake components and shocks. 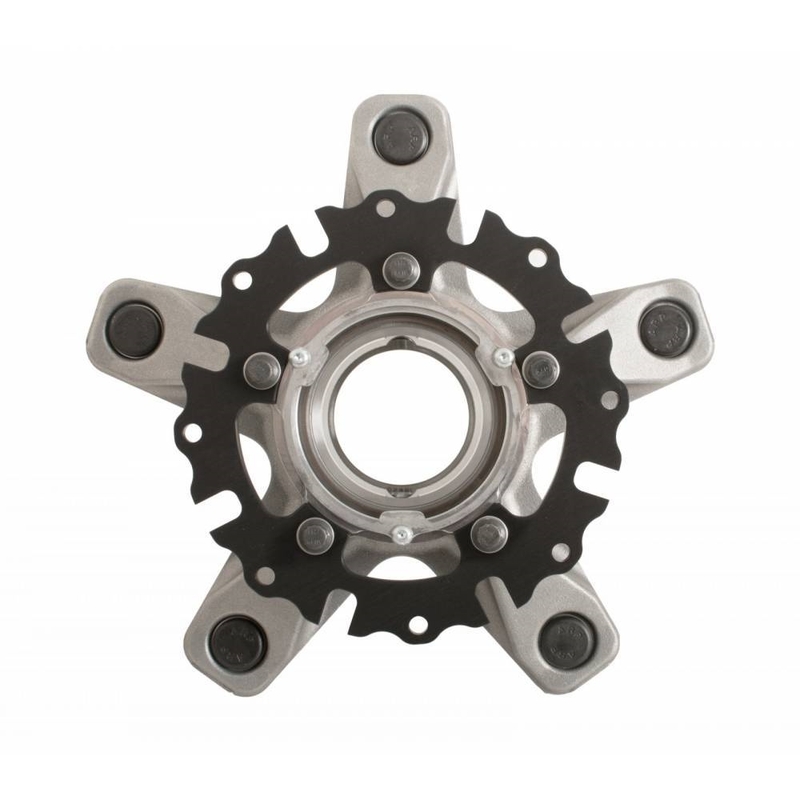 The bare hub is ultra strong and weighs only 7.5 lbs before races and studs are installed. Fits standard Wide Pin. 2.000″ inner bearing and 1.812″ outer bearing. Hub only comes with races, rotor flange, seals and studs.